This is Jax, the newest addition to our family. 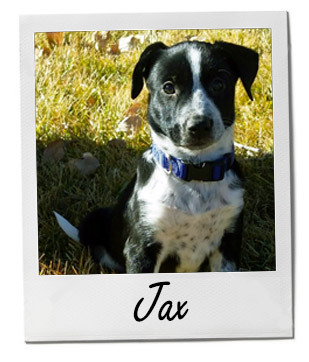 He is a nine-week-old Heeler and Mini Aussie mix from a breeder here in Colorado. At first, he was the quiet one among his siblings, but he has turned out to have a very bouncy personality and has already taken a liking to his collection of tennis balls. He is smart for his age and has already learned to sit and wear a leash on small hikes.